Read the Full Article on the Daily Mail website here. Grieving families face paying thousands of pounds to banks because their loved ones were sold rip-off wills. Up to 1.5million customers are believed to have signed up for the service in the late 1990s and early 2000s. Wills were typically offered for as little as £75, or even free. However the small print gave banks the right to appoint themselves as executor – and grab up to 2.5 per cent from an estate in legal fees. The inheritors of £500,000 of wealth risk paying out £12,500 – around six times the typical cost of £2,200. It is thought that high street banks can expect a combined £9billion windfall from will-writing services. ‘Families are in for a huge shock when their loved one dies and they face having to hand a bank eye- watering amounts from their inheritance,’ said James Daley of the consumer website Fairer Finance. An estimated 1.5million wills have been written by banks over the past 20 years, according to specialist firm Farewills. Banks offered the will-writing service as a perk for signing up for insurance or fee-charging current accounts. Customers would typically be visited at home by bank staff or lawyers who would record their wishes. They were often encouraged to appoint the bank as executor – an official legal role with responsibility for everything from disposing of property to paying bills and taxes. Banks are still offering will-writing services. Natwest and sister bank RBS charge 2.5 per cent, plus a £1,500 charge up to a maximum total fee of £15,000. Lloyds charges 2.5 per cent on the first £1million of wealth. In 2010 an investigation by consumer group Which? found that before Barclays sold its will-writing business, it had been charging £80 upfront for a will but would ask for 4.5 per cent of the first £100,000 of an estate, followed by 3.5 per cent of the next £400,000. Customers would have to pay 1.5 per cent for the remainder, plus £400 for each beneficiary. It has sold the business to another firm, Zedra. Zedra says customers can ask it to step down as an executor and that its fees are negotiable depending on the complexity of the estate. When customers signed up for wills with banks they may not have understood the consequences of assigning executorship, and the percentage charge may have appeared modest. However house prices, which have soared 23 per cent in a decade, mean even the estates of those on modest incomes can attract hefty fees. The estimated windfall of £9billion for banks is based on an average charge of 2 per cent on 1.5million wills. Families can request a bank stands down from being executor, usually for a fee of around £250. However the bank does not need to comply. A Zedra spokesman said last night: ‘We publish a scale of negotiable executorship charges for our services. ‘Although we may be named as executors in the will, our appointment is not confirmed until after death and a full quotation of the cost has been agreed by the family. RBS said the bank would ‘consider’ a discount if the estate was very simple. In 2011, Barclays, HSBC, Lloyds and RBS agreed to review their will-writing practices after the Office of Fair Trading found customers were appointing executors without properly understanding the options and the cost. Often, where an estate is straightforward, a family member is able to take on the role of executor for free. After his mother Marjorie died in May, Peter Spong was shocked to learn NatWest was demanding £11,500 to administer her estate. 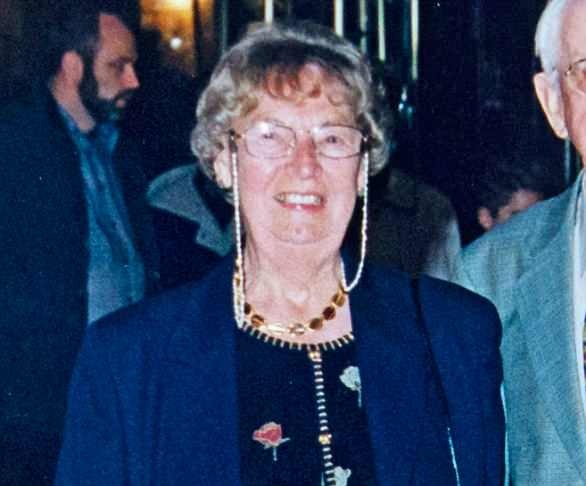 Mrs Spong, who died aged 97, left the entirety of her £400,000 assets to her two sons. Her late husband, a former NatWest bank manager, had arranged to have her will written and executed by the bank. 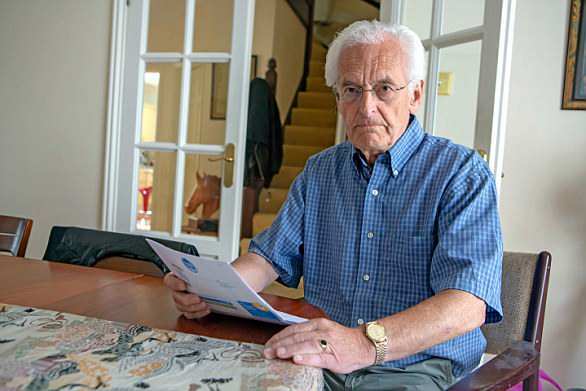 Peter Spong (pictured) was shocked to learn NatWest was demanding £11,500 to administer her estate. But their son, 74, believes his mother was unaware of the hefty charges in the small print of the arrangement. A few days after Dr Spong, of Princes Risborough, Buckinghamshire, visited the NatWest branch where her will was stored he received a letter informing him of the bank’s charges to execute it. These included a £1,500 fee, plus 2.5 per cent of the estate’s value up to £15,000. Dr Spong worked out this totalled £11,500 to administer a straightforward estate. He obtained an alternative quote of around £4,000 with probate broker Final Duties.